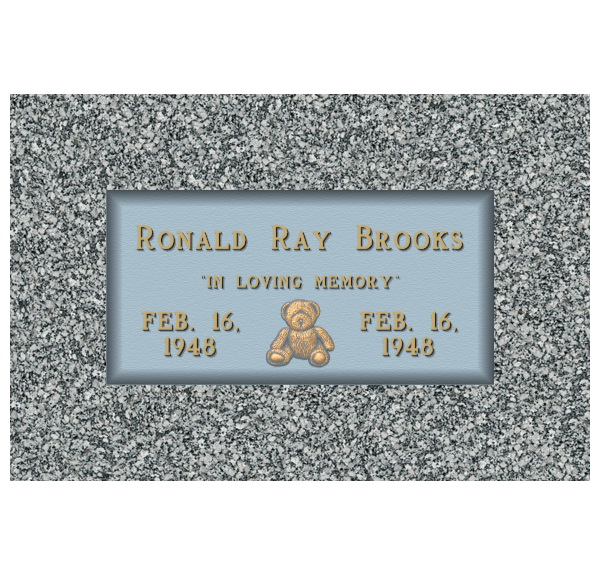 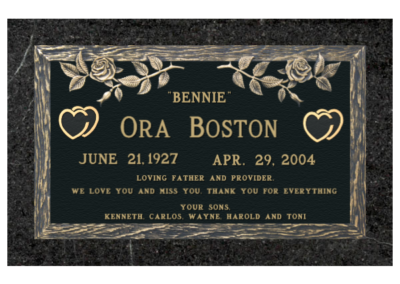 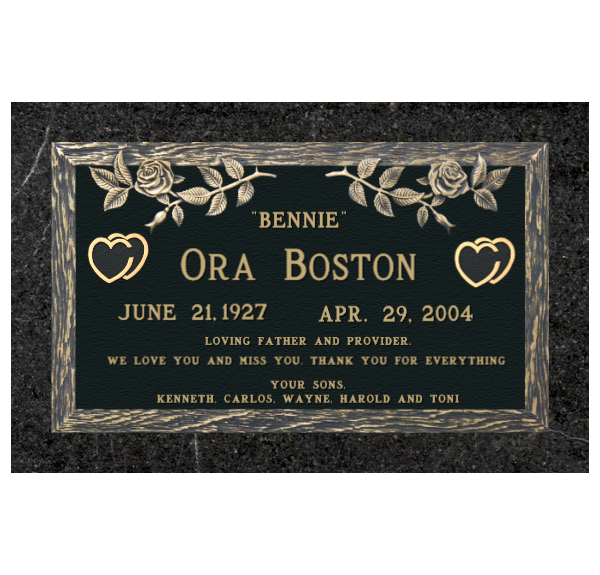 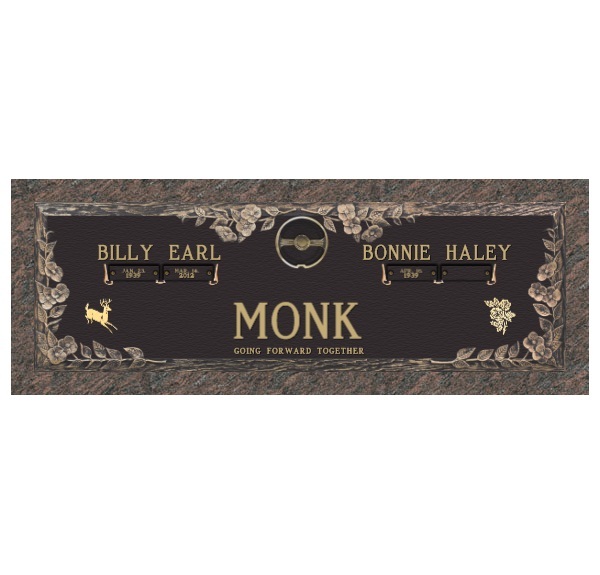 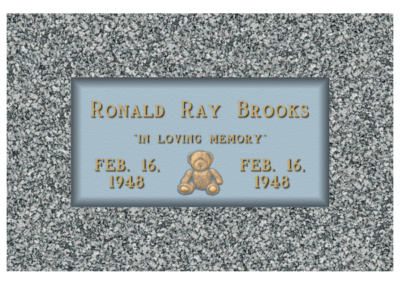 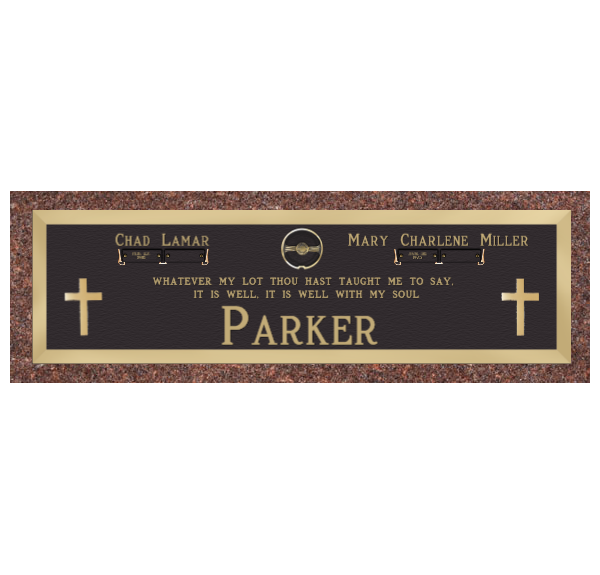 Bronze monuments are often required in memorial park cemeteries and in some areas of private cemeteries. 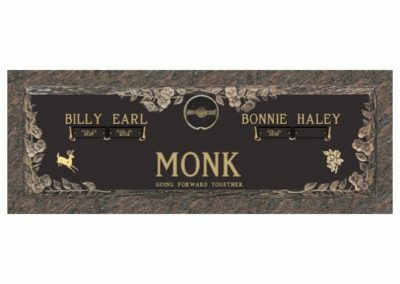 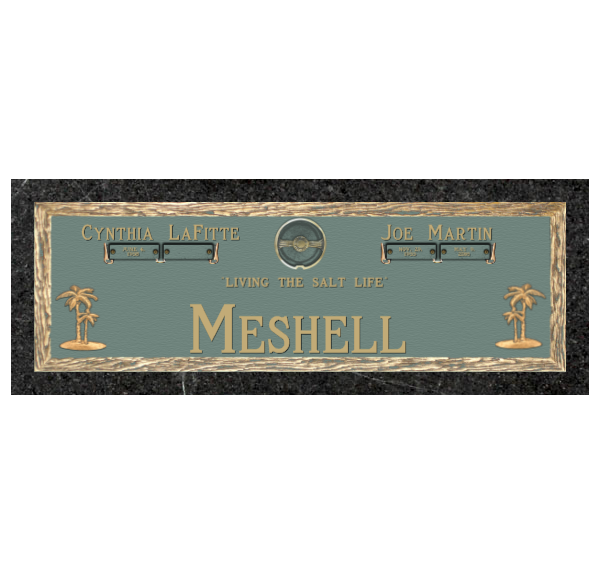 At Central Monument, we provide the highest quality bronze memorials at some of the most competitive pricing to provide you with the best monument value. 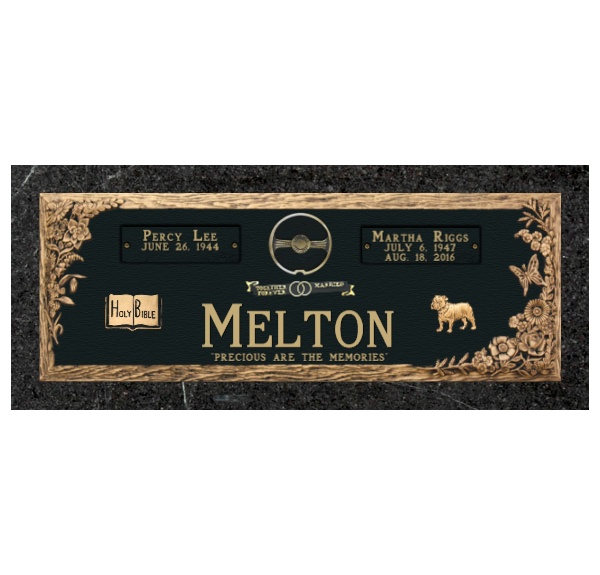 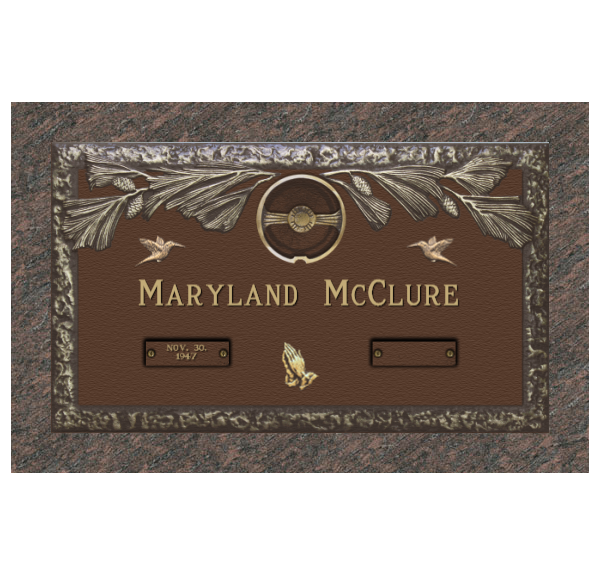 Every bronze monument we create is grounded to a very solid granite base. 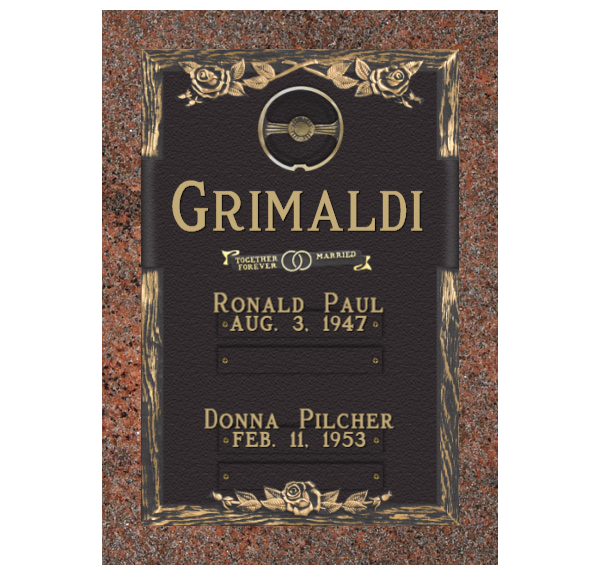 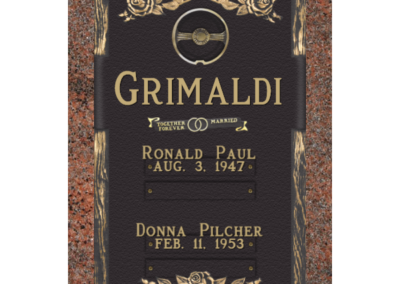 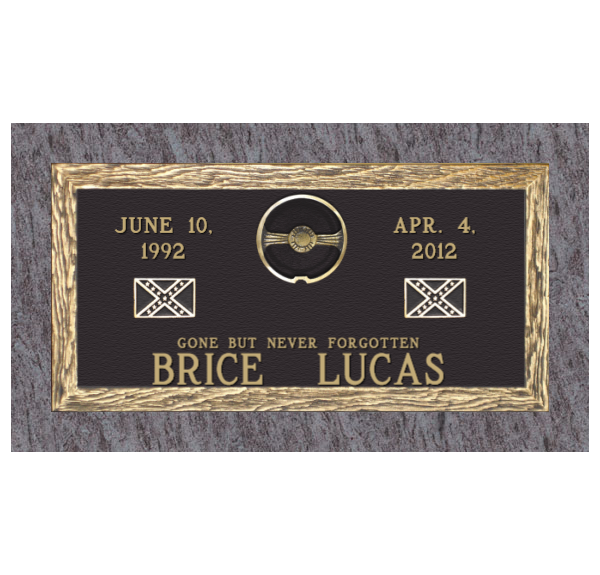 Our monument designs are complemented with engraved bronze, beautiful polish with patterns of granite and natural colors. 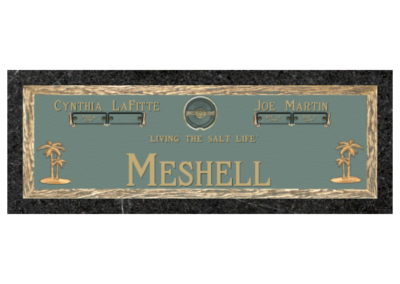 Here at Central Monument, we have skilled artisans who give proper attention to any details our customer’s request. 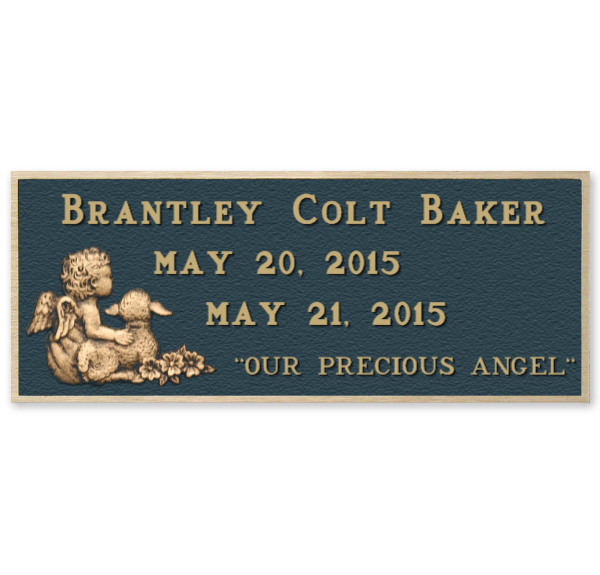 Our full attention is giving to each piece of bronze memorial work. 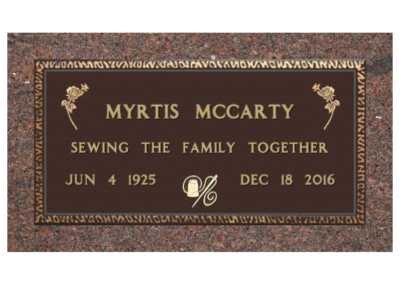 The time invested into each bronze monument varies by the amount of carving, lettering, ornamentation, and finish that is used. Deciding on how intricate you want your bronze monument will be a determining factor in its overall cost. 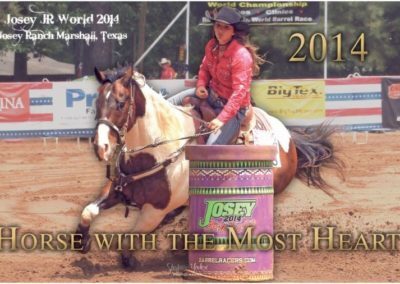 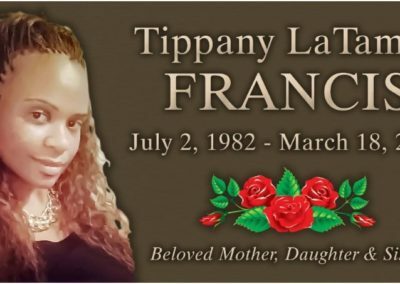 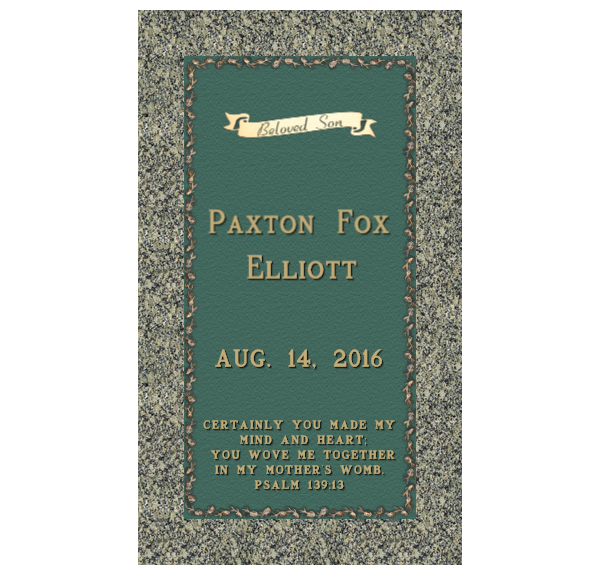 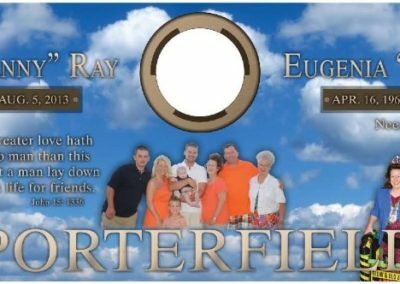 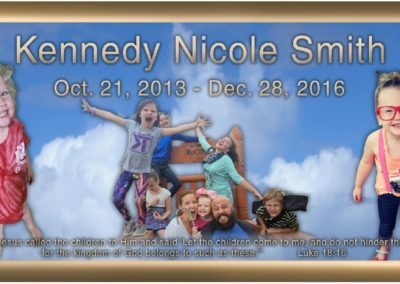 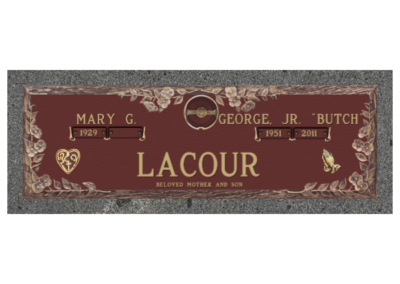 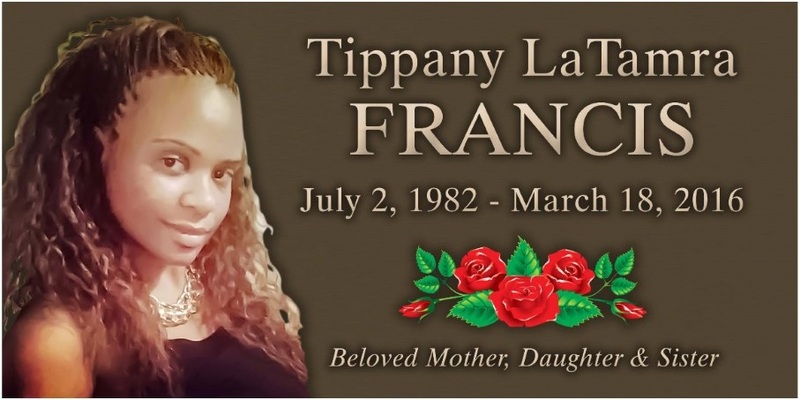 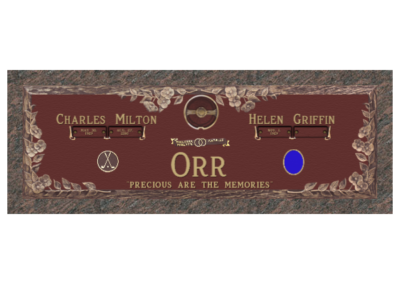 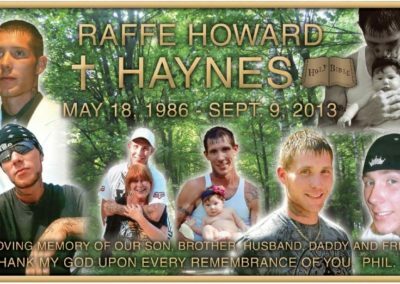 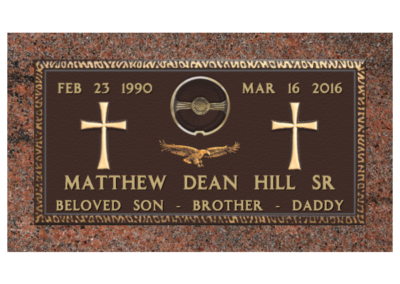 The design options you choose can be from simple to ornate; we can also help you incorporate photographs into the memorials. 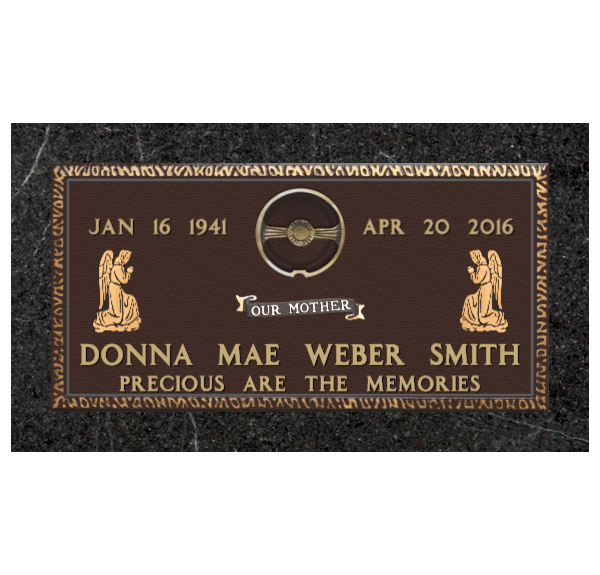 We understand what grieving families go during this period of time, which is why here at Central Monument we make the process of choosing your memorial an easy and memorable one. 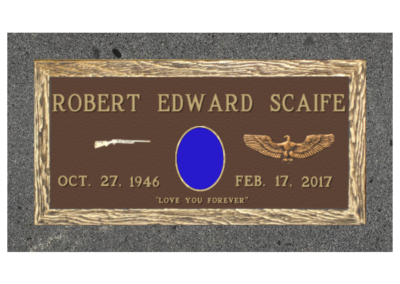 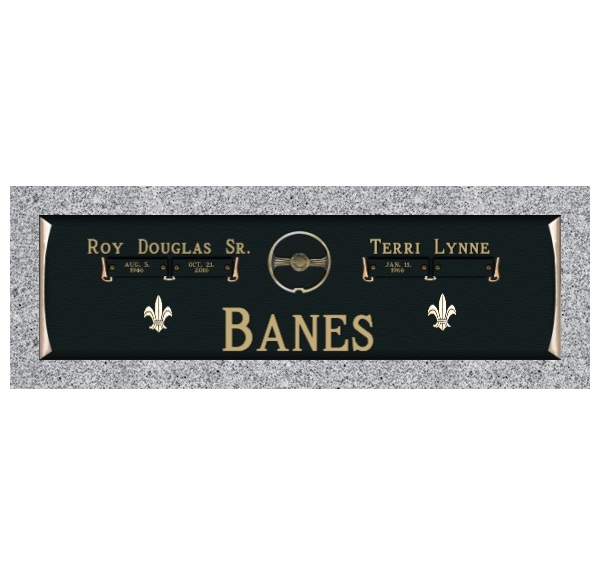 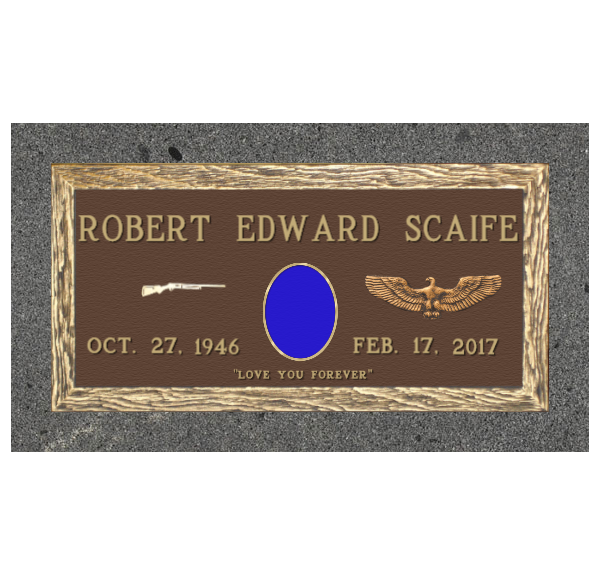 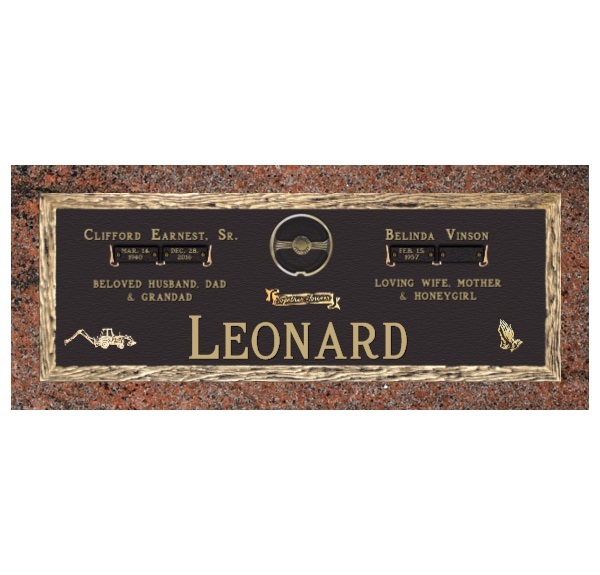 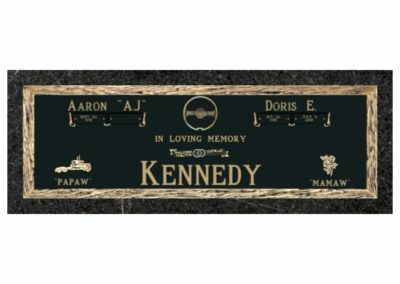 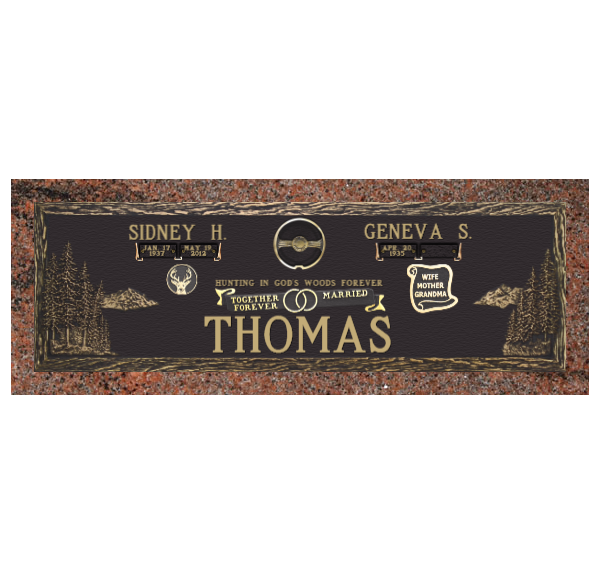 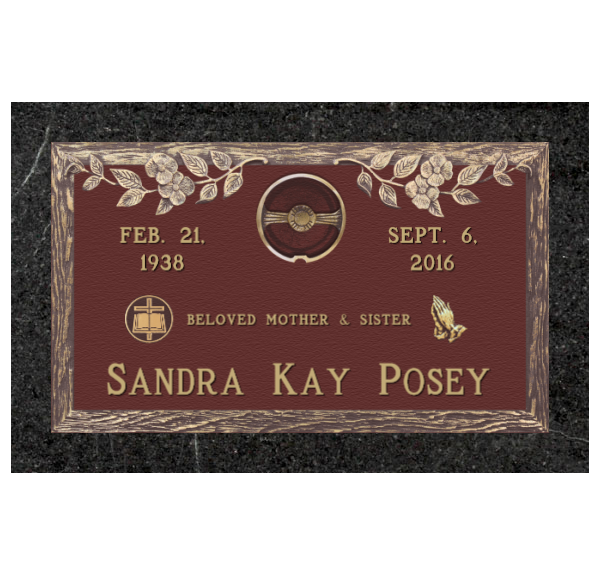 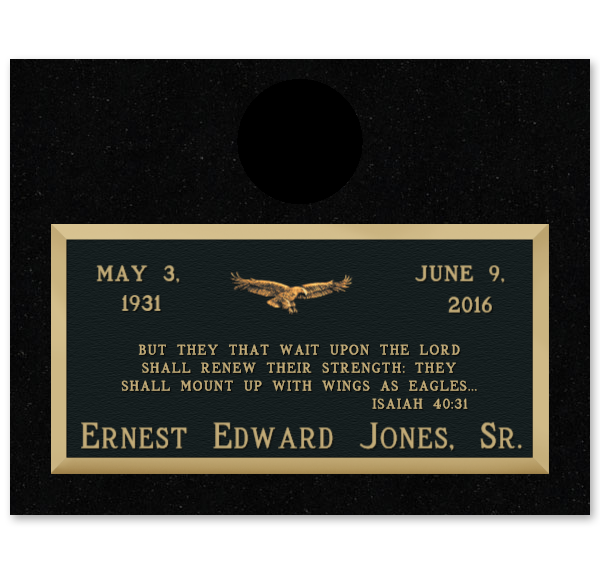 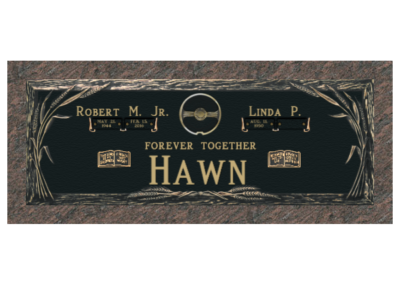 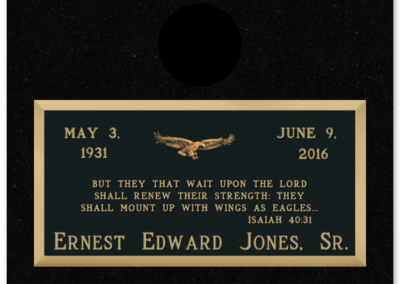 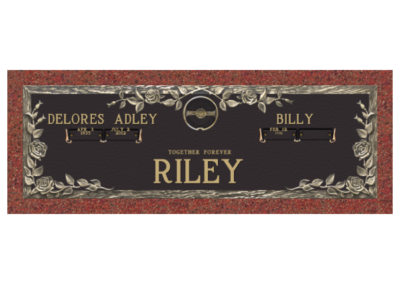 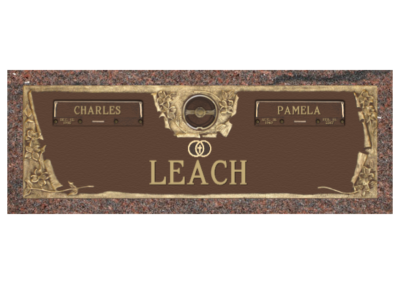 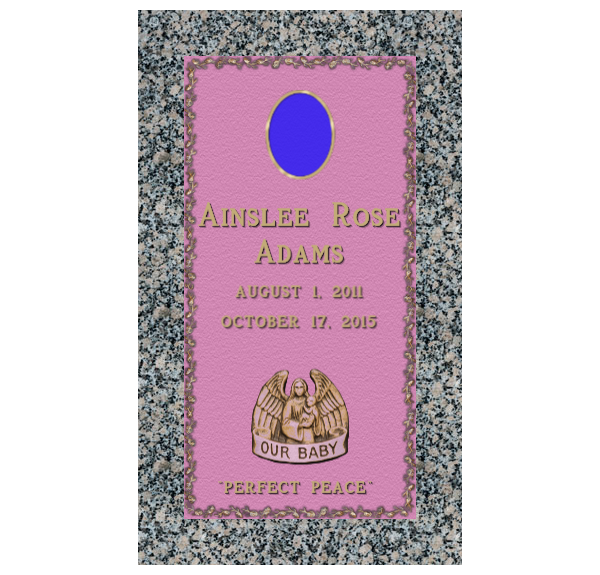 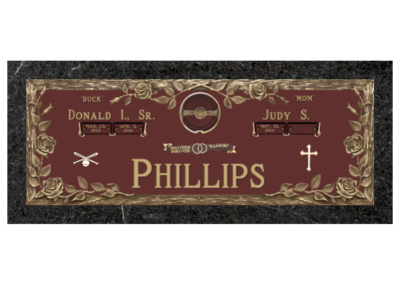 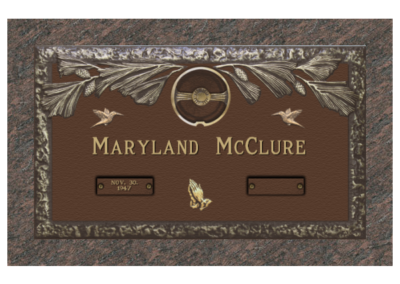 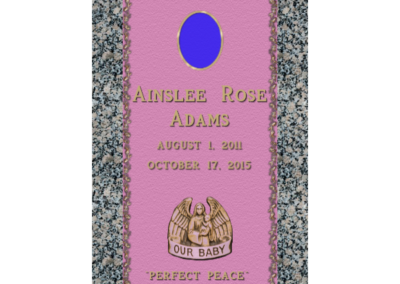 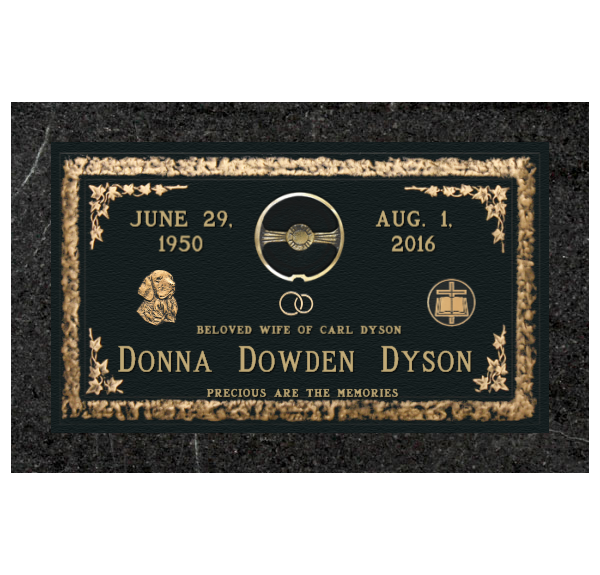 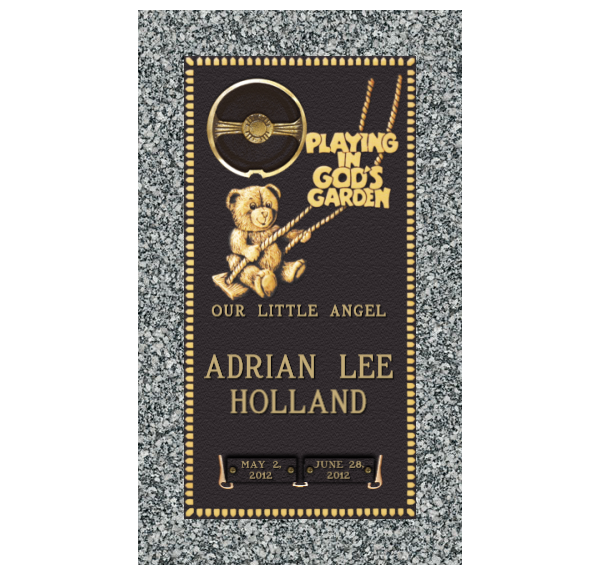 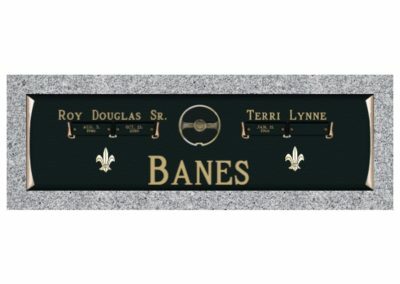 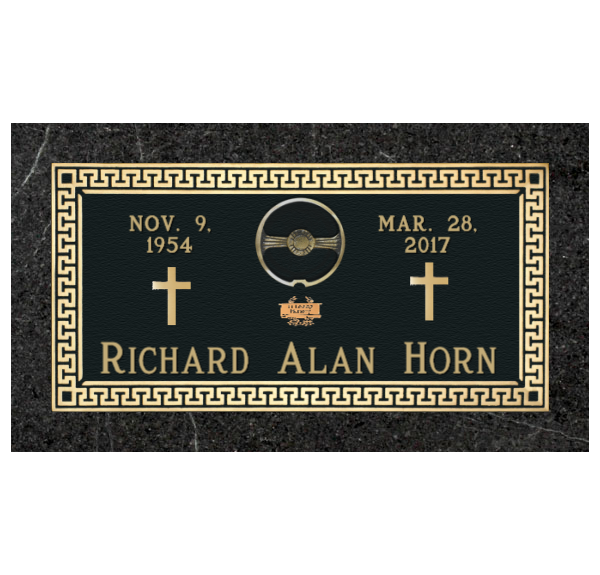 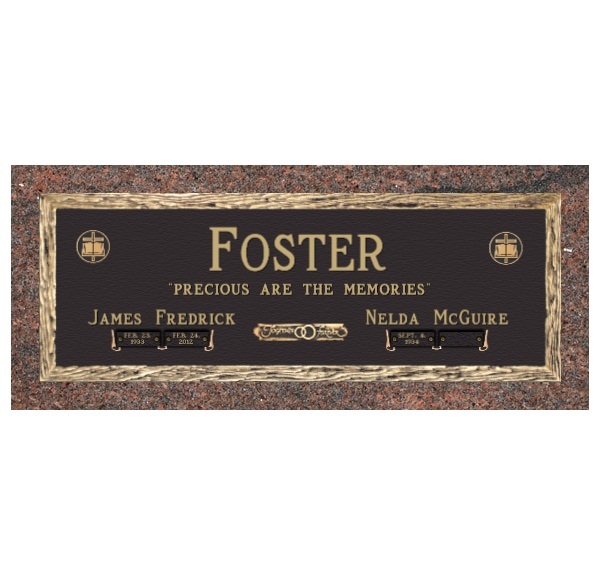 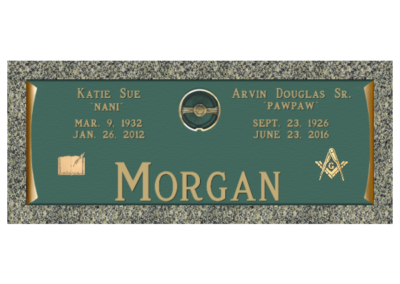 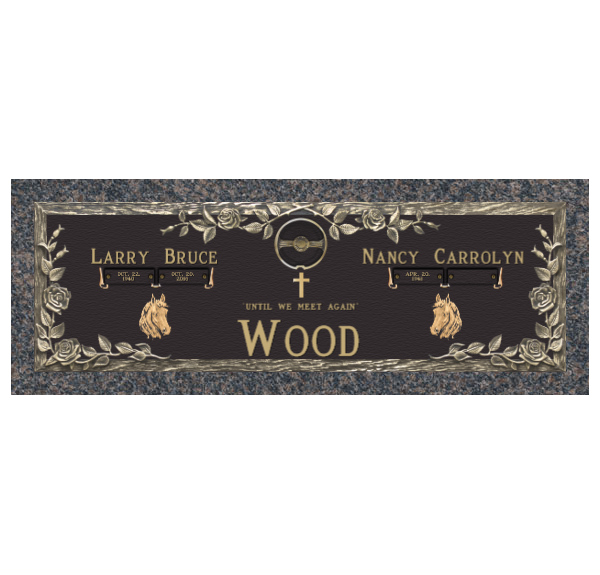 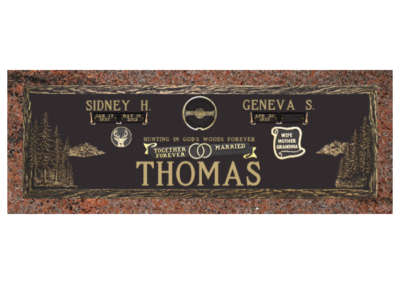 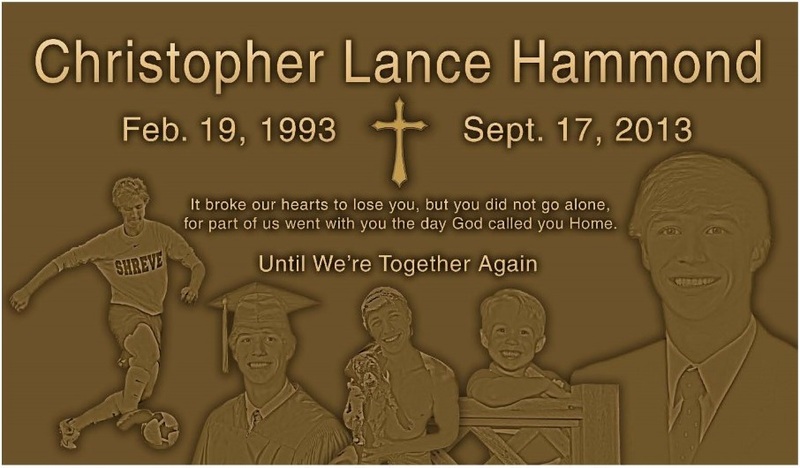 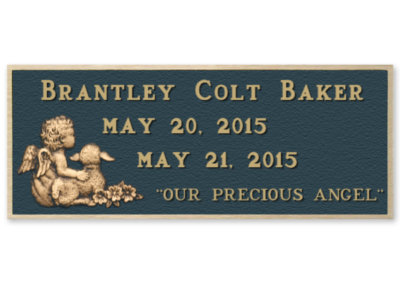 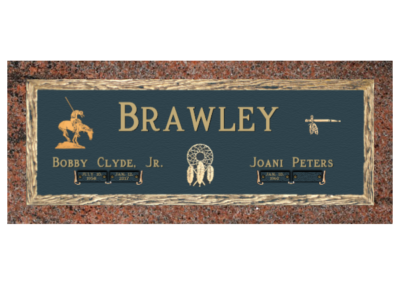 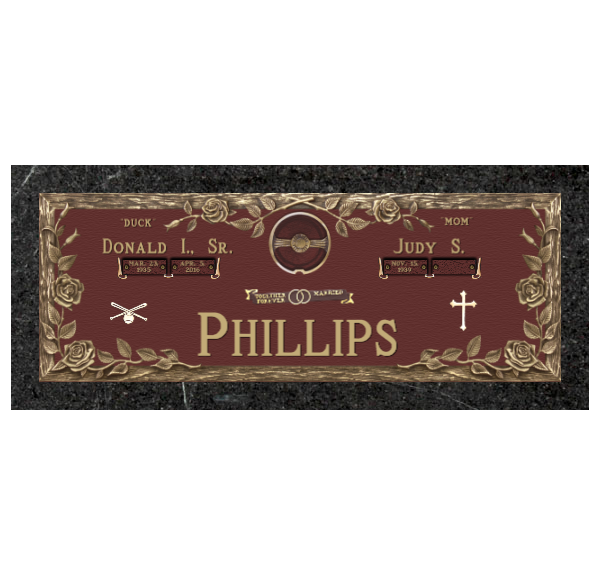 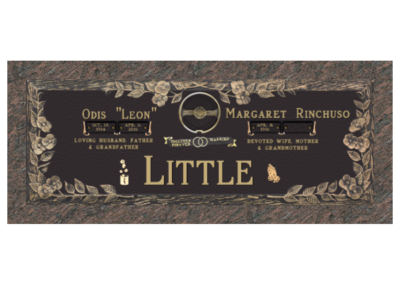 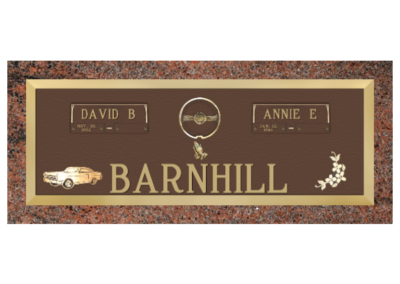 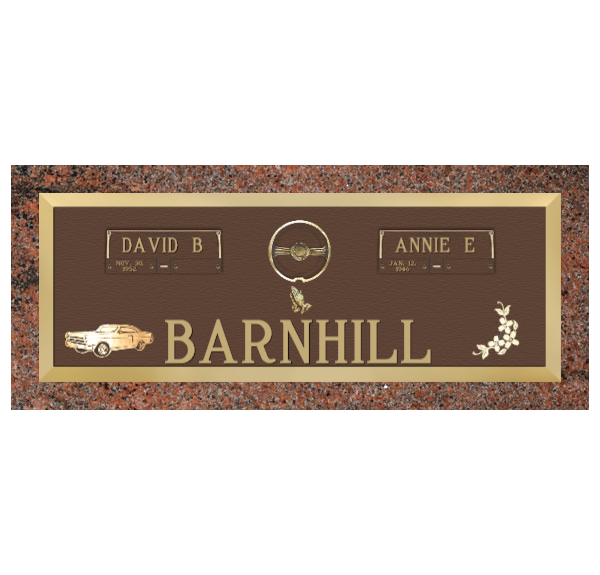 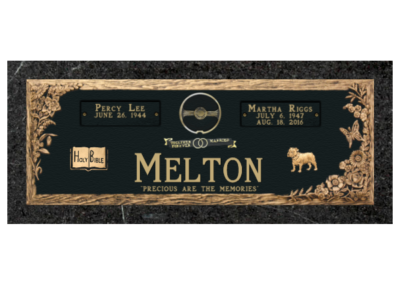 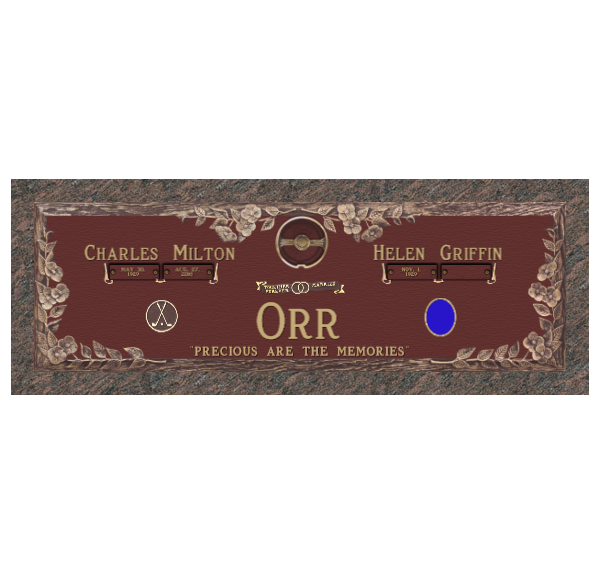 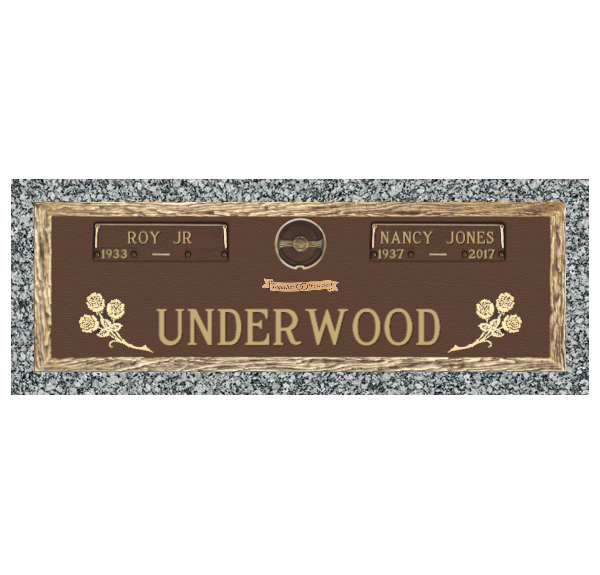 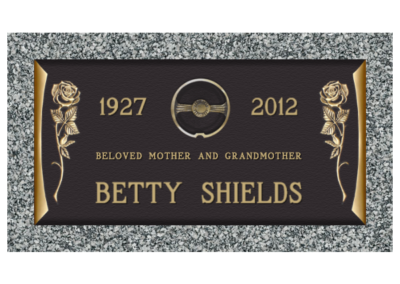 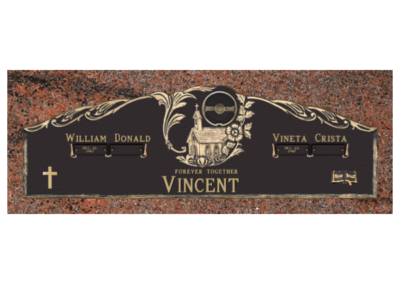 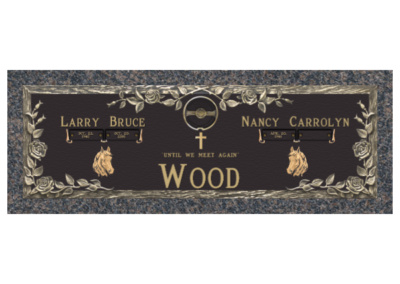 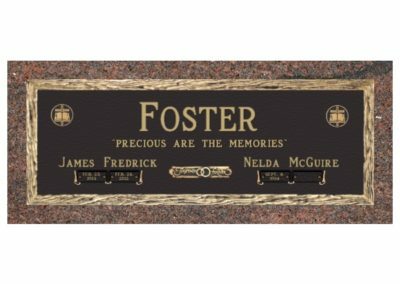 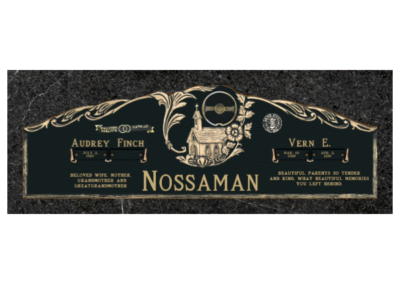 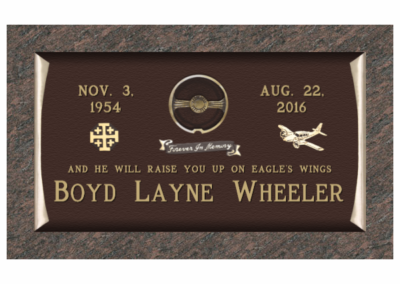 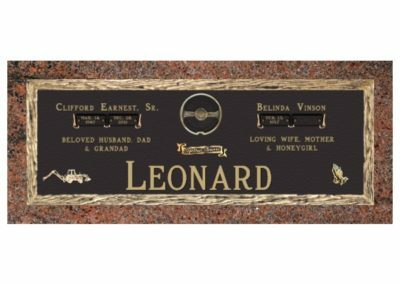 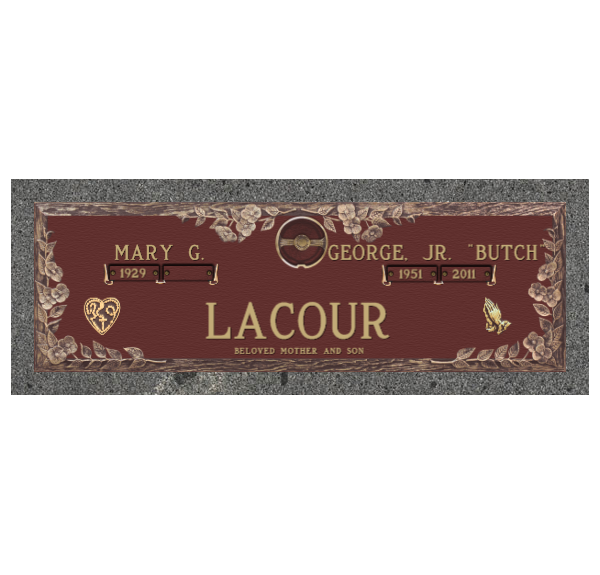 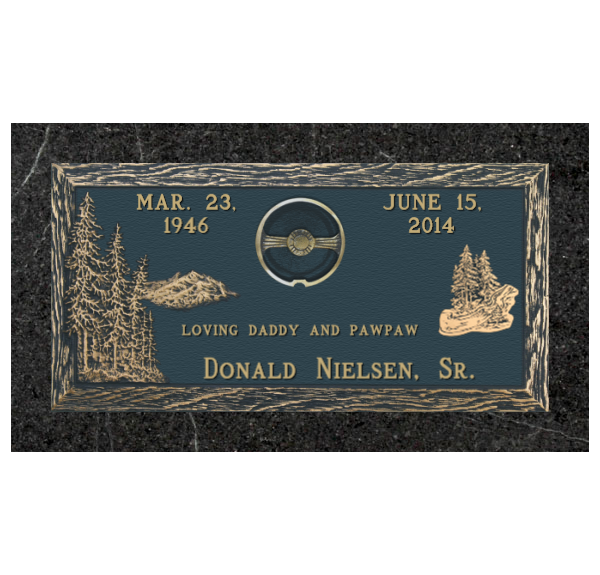 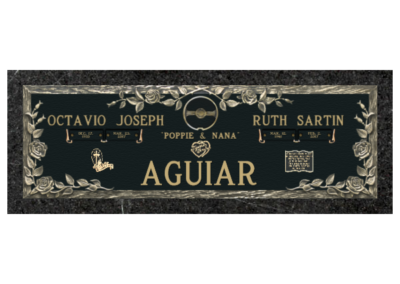 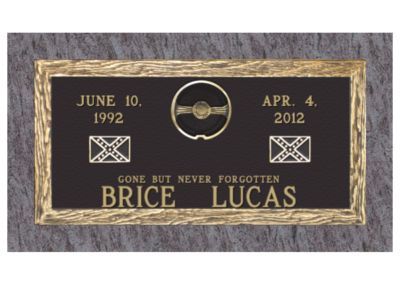 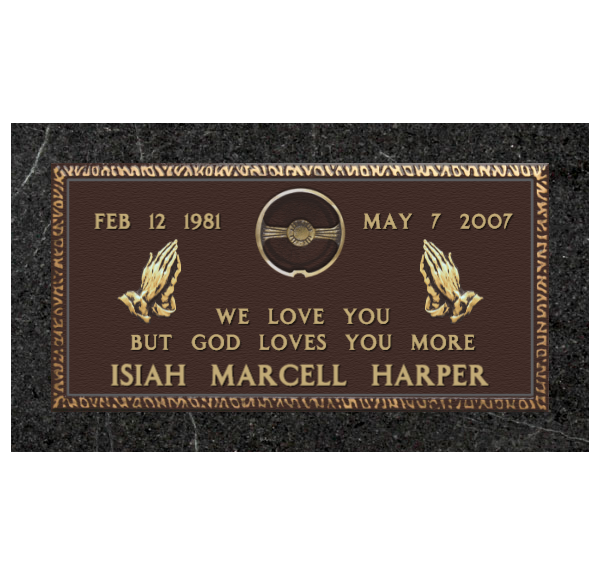 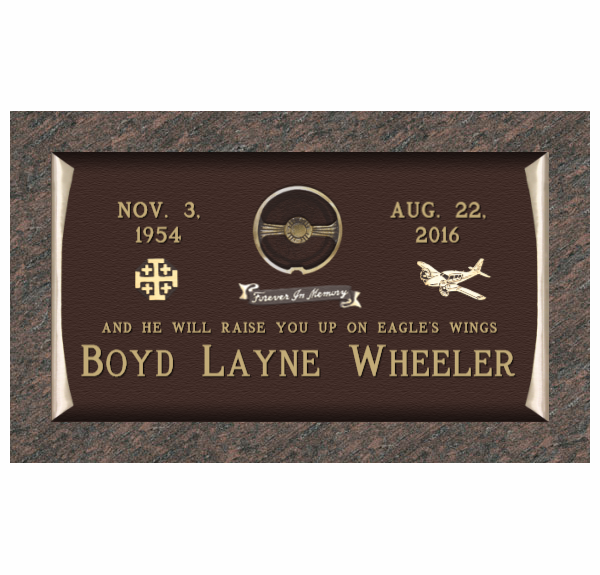 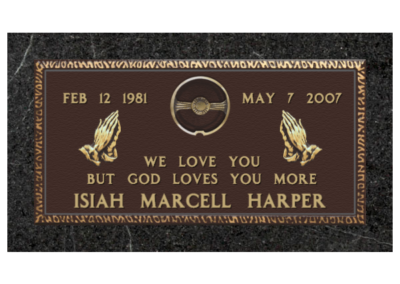 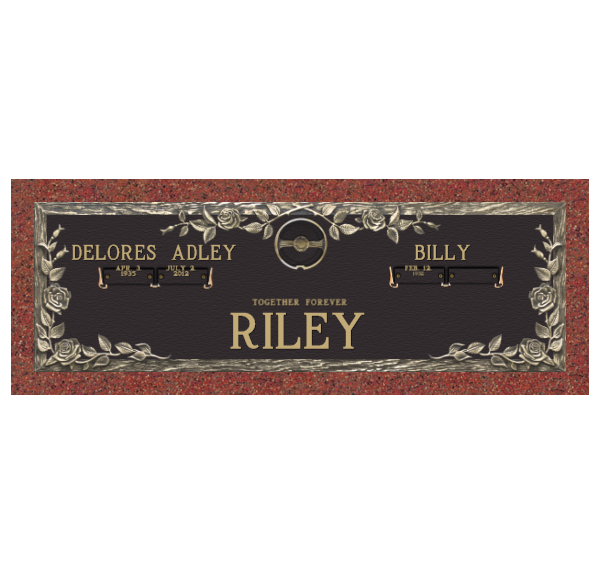 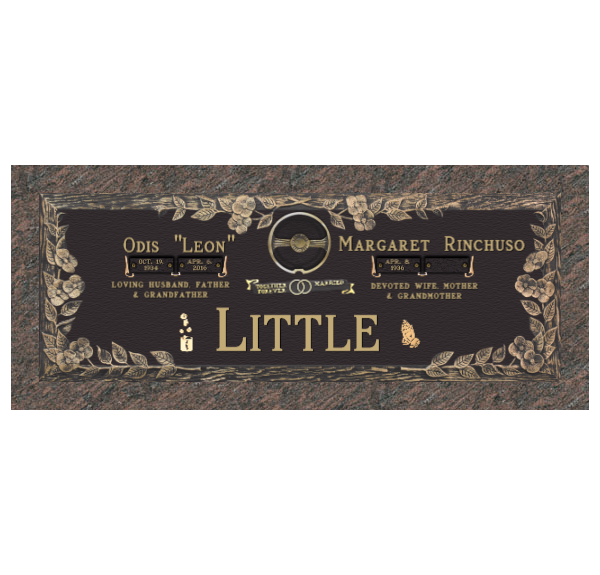 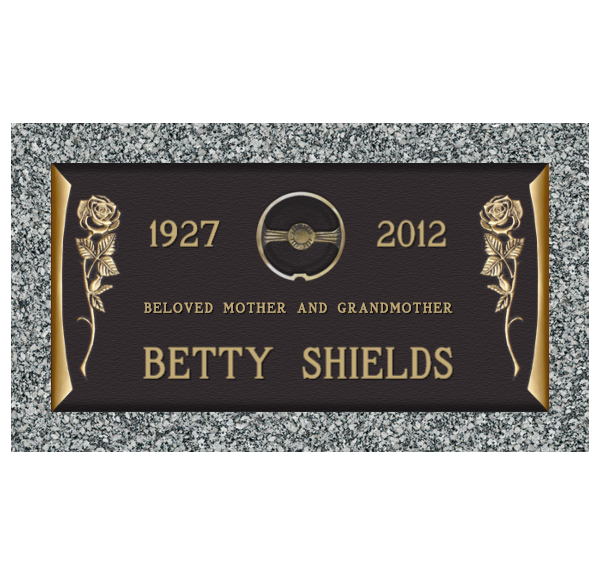 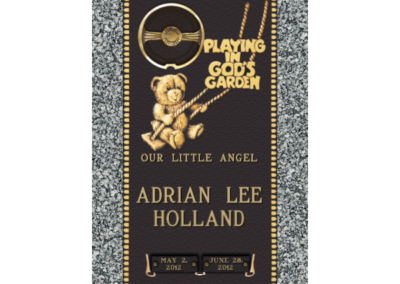 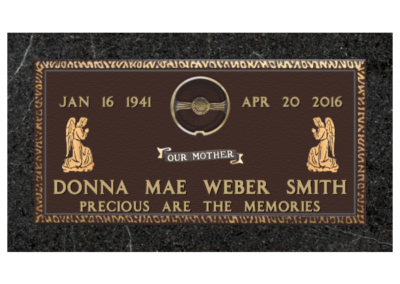 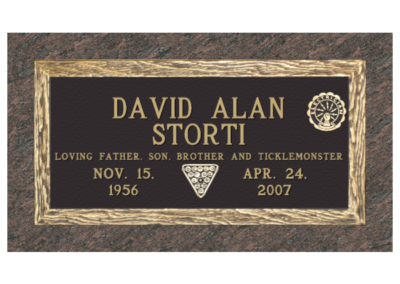 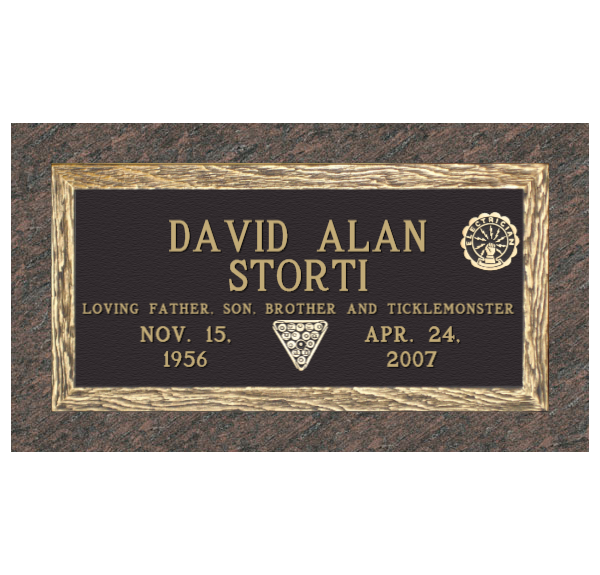 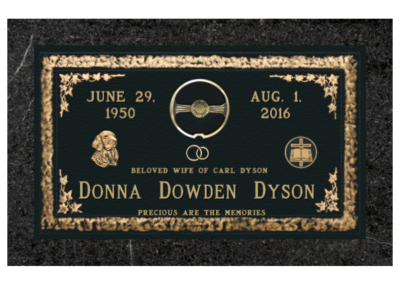 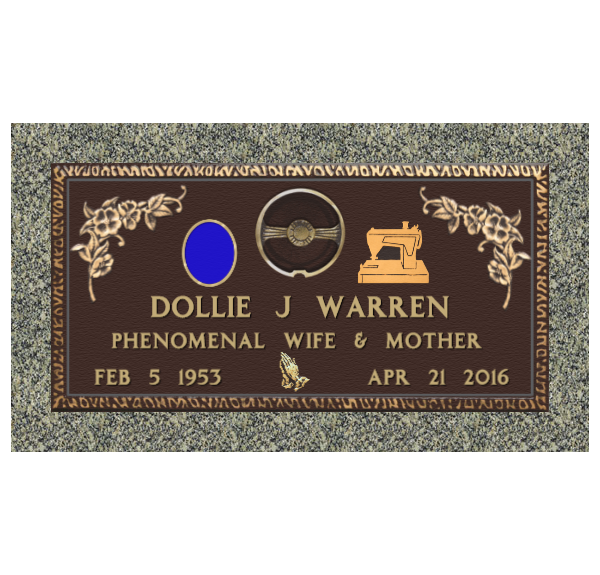 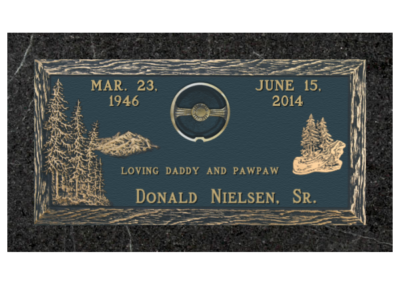 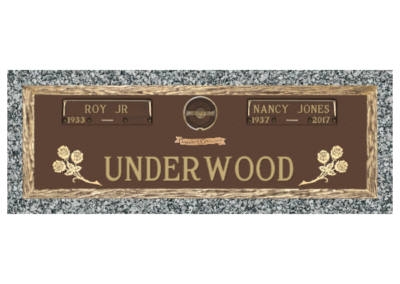 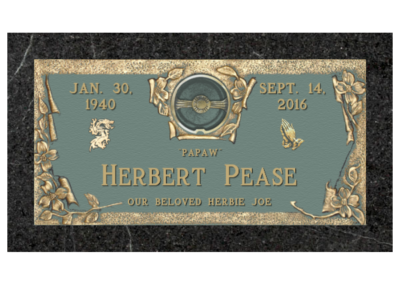 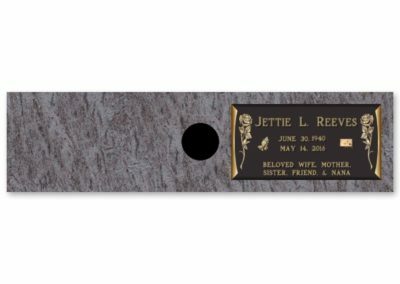 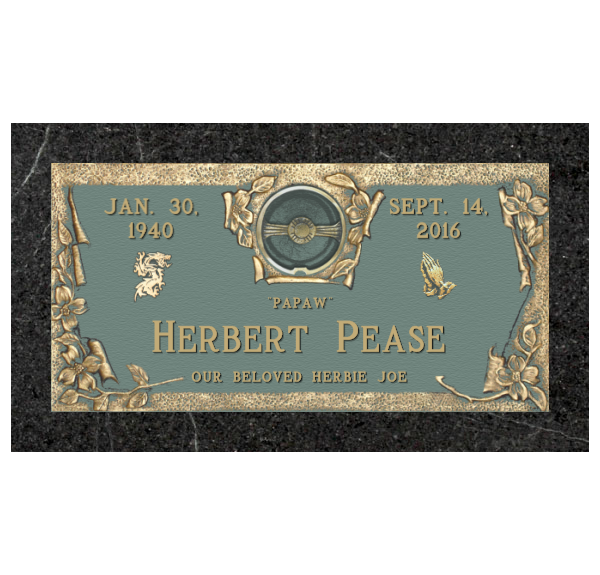 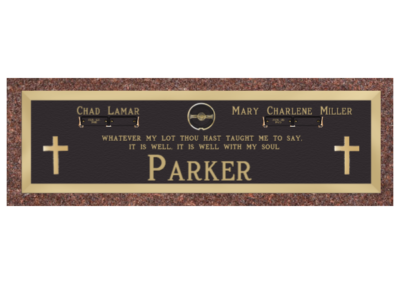 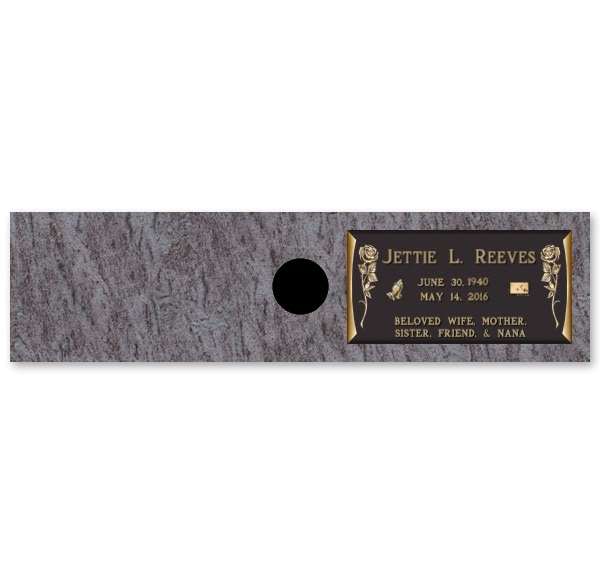 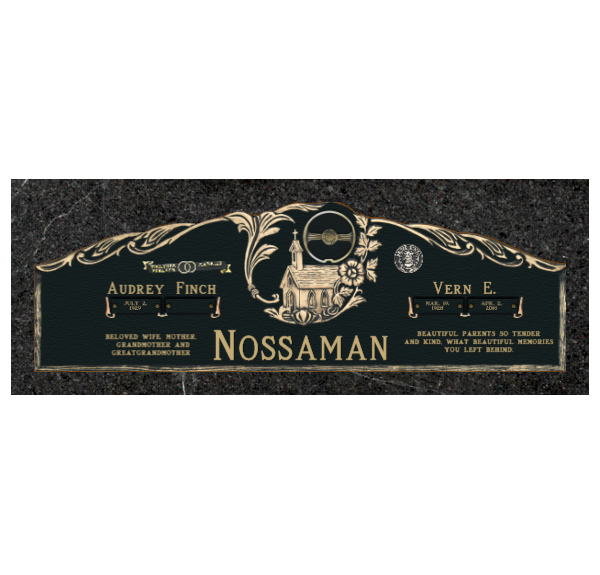 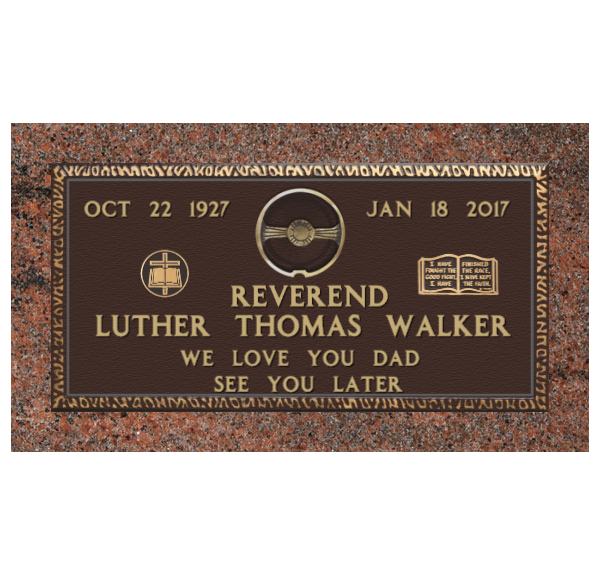 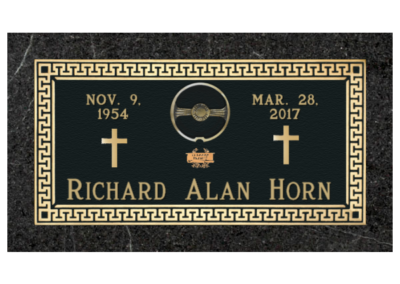 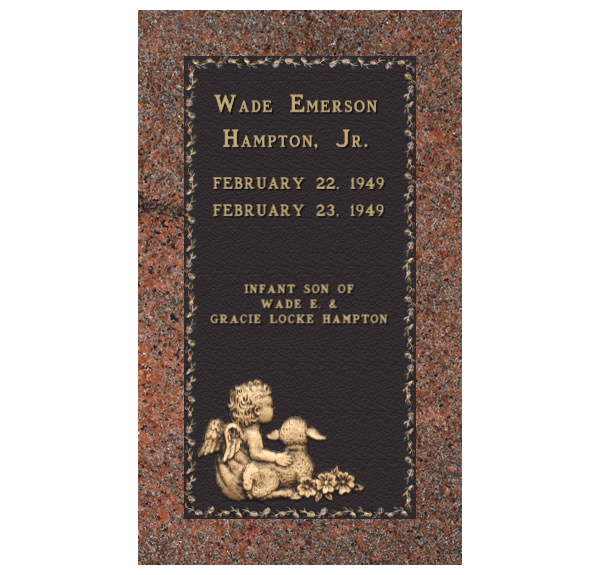 At Central Monument, we can provide you with a variety of designs to select from in our bronze memorial catalog or by checking out some of our premade designs. 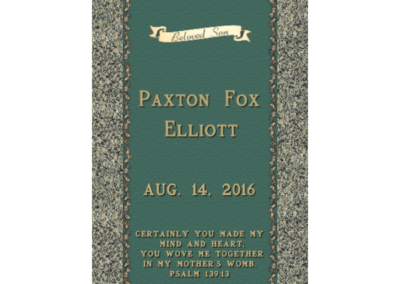 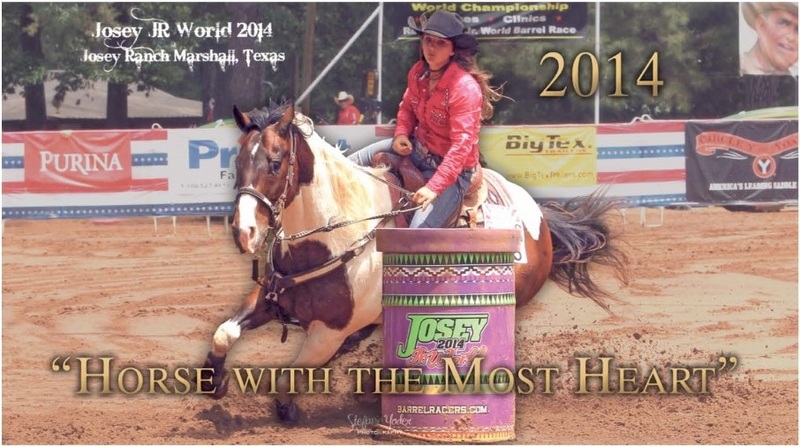 If there are any extra customizations you would like to incorporate, we’ll be more than happy to assist you. 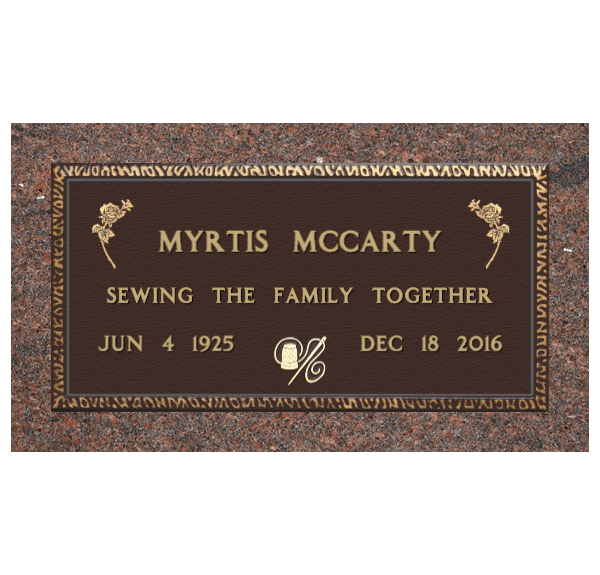 Bronze cemetery monuments are known for lasting very long without any degradation. 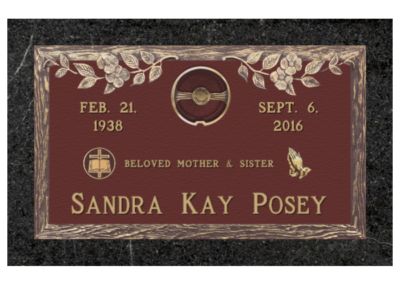 The style you chose can be as unique as your personality. 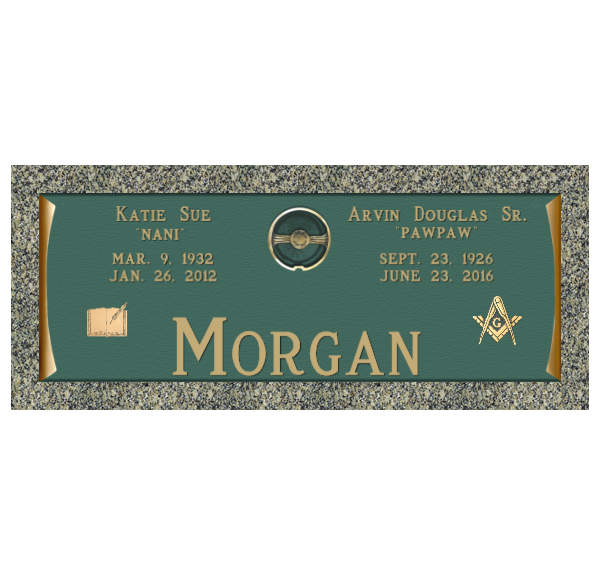 Bronze monuments hold their own unique look and as mentioned earlier and are commonly requested and in some cases demanded by cemeteries across the country because of their time tested appeal. 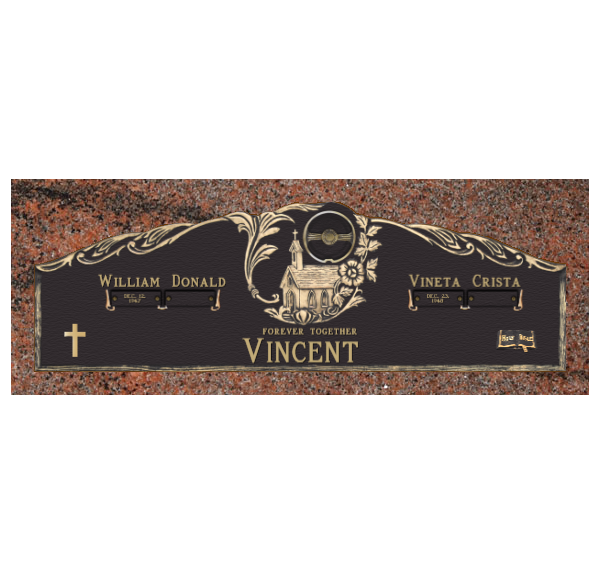 When it comes to bronze monuments, Central Monument is a leader in uncompromised craftsmanship. 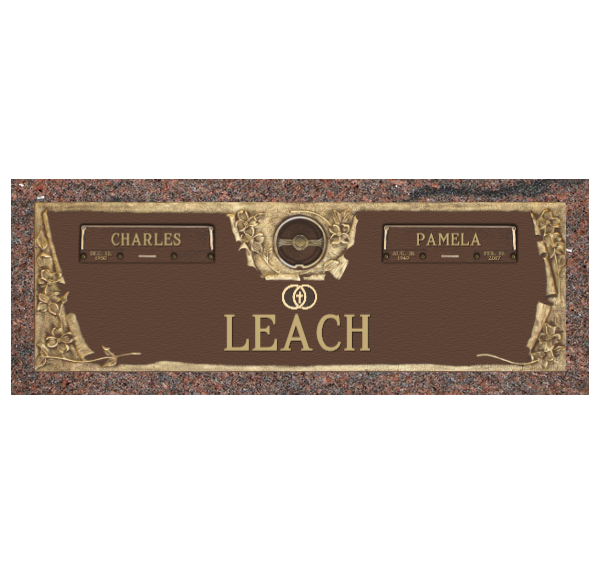 With over 60 years of experience we’re undoubtedly one of your best choices for bronze monuments. 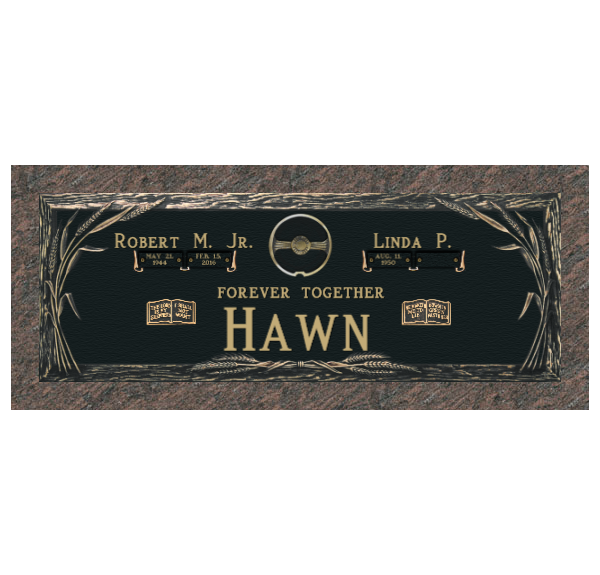 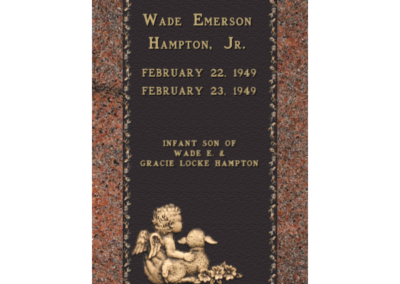 Give us a call today and let us create the perfect monument for you or your departed loved one. 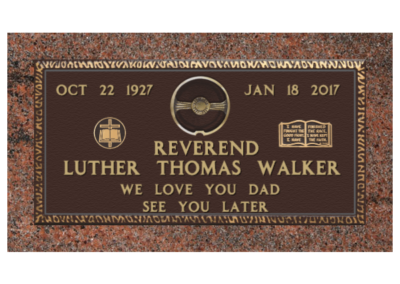 I would like to thank Mr. Tony and his very talented and professional staff for a job well done on behalf of the Walker family. 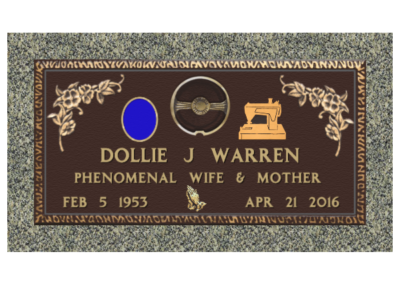 The grave marker for my beloved mother was done impeccably. 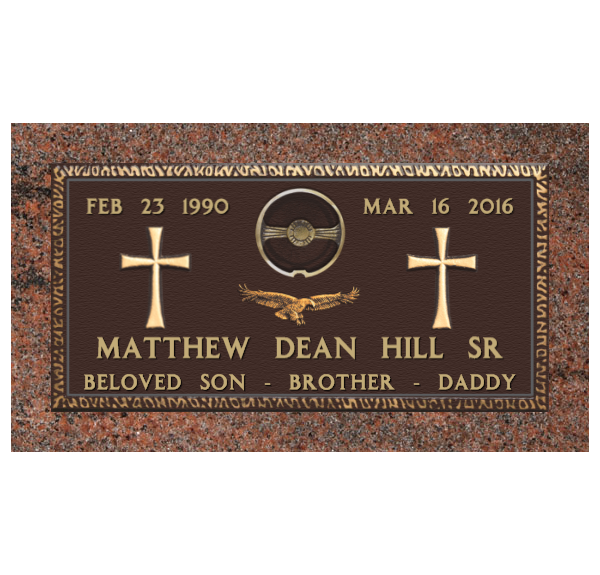 The staff was very kind and patient with me during a very difficult time. 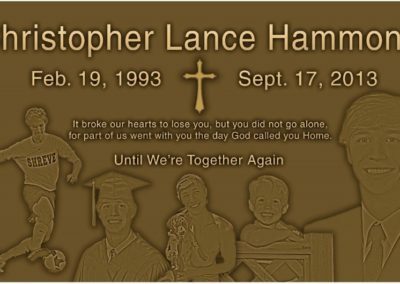 Thank you so much for a job well done. 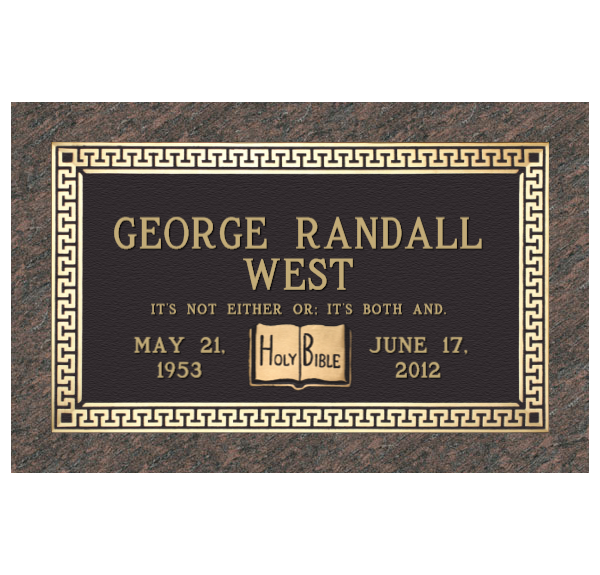 We have used central monument twice. 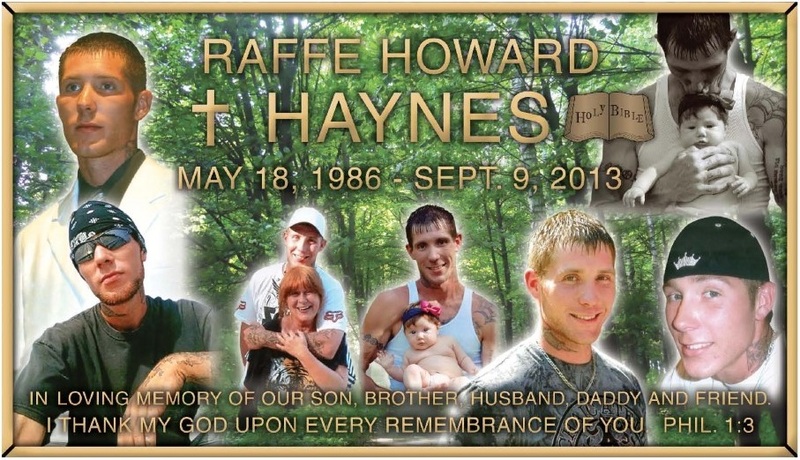 Very nice people helped us tremendously. 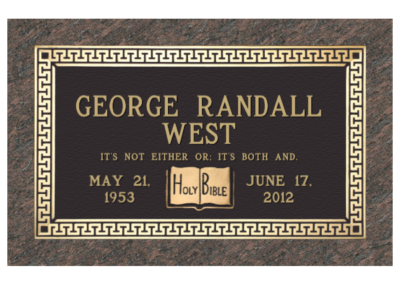 I would recommend them to everyone. 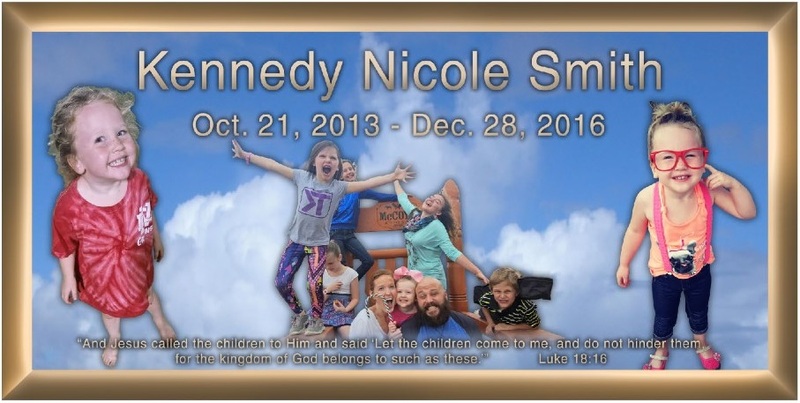 Very professional and compassionate.